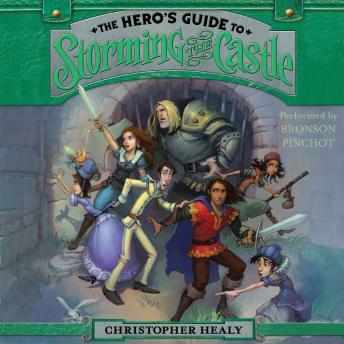 Your favorite princes and princesses are back in the hilarious and action-packed sequel to the breakout hit The Hero's Guide to Saving Your Kingdom by author Christopher Healy, which the New York Times selected as one of its best books of the year. Prince Liam. Prince Frederic. Prince Duncan. Prince Gustav. You remember them, don't you? They're the Princes Charming, who finally got some credit after they stepped out of the shadows of their princesses—Cinderella, Rapunzel, Snow White, and Briar Rose—to defeat an evil witch bent on destroying all their kingdoms. But alas, such fame and recognition only last so long. And when the princes discover that an object of great power might fall into any number of wrong hands, they are going to have to once again band together to stop it from happening—even if no one will ever know it was they who did it. This was a fun book. The characters are complex and believable and the narrator's vouces for each character are fantastic. The only drawback is that sometimes the characters whisper or are done in a softer voice and if you don't have the volume turned up you miss things. Of course the next character might shout which will blast your ears. Live the story and the voices, but wish the volume was more consistent.